This site is dedicated to showing you how to build a gaming computer. Here you will find recommended parts for a gaming computer and installation guides with lots of photos showing every step of the process. This site was designed to help people build a gaming computer by hand-picking components and assembling it yourself. Don't waste money paying an "expert" to install a part for you. 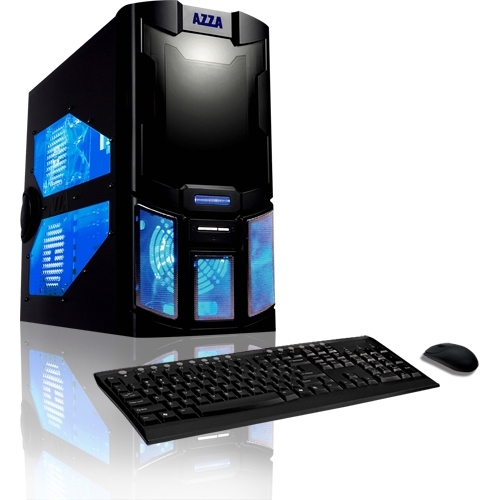 On this site you will find step by step instructions and images to show you exactly how to install computer parts and how easy it is. Need help installing a video card, hard drive or optical drive? Look no further, it's here. Buying components through online retailers is a great way to save money to build a fast gaming computer. Just browsing the internet for pre-assembled computers shows prices at $1,099 for an Alienware desktop PC and $800 for an HP computer. Nobody wants to spend near $1000 every few years to enjoy a computer game. For this reason I have included a list of components I think are the best value for the gamer. Please feel free to ask any questions and offer advice about anything computer related, I'd be happy to help. Don't pay a fortune on expensive "gaming computers" sold through retailers and start getting the most bang for the buck by picking out the parts that are right for you. Please begin by reading our Introduction.